Marijuana Legalization Resolution Introduced in New Mexico Senate. State Sen. Gerald Ortiz y Pino (D-Bernalillo County) Friday pre-filed Senate Joint Resolution 10, which would amend the state constitution to tax and regulate marijuana use by persons 21 and older. If the bill passes the legislature, the amendment would be placed on the November 2014 ballot for voters to decide. Indiana Marijuana Decriminalization Bill Filed. State Sen. Karen Tallian (D-Portage) last week introduced Senate Bill 314, which would decriminalize the possession of up to two ounces of marijuana. Similar legislation was defeated there last year. Arizona Health Department Rejects Adding New Medical Marijuana-Eligible Conditions. The Arizona Health Department last Friday decided not to approve adding post-traumatic stress disorder, depression, and migraines to the official list of debilitating conditions that are treatable by medical marijuana. Director Will Humble said the decision was due to a lack of published data regarding the risks and benefits of using medicinal cannabinoids to treat or provide relief for those conditions. The department will accept new petitions January 27 through 31. Bill to Undo Virginia's Already Toothless Medical Marijuana Law Filed. Virginia has had a law allowing for the medical use of marijuana on the books for years, but it has never actually been used. Now, a Republican legislator, Delegate Robert Marshall of Manassas, has filed a bill to repeal even that. House Bill 684 (click on the link) was set for a hearing today. Michigan Medical Marijuana Providers Drop by Half. The number of medical marijuana patients registered with the state declined slightly in 2013, but the number of providers declined much more dramatically, by nearly 50%. The number of patients dropped from 124,000 to 118,000, a 5% decline, while the number of providers dropped from 50,000 to 27,000, according to two annual reports required by the state legislature. The decline in providers is attributed to new laws regulating the industry and adverse court rulings and prosecutions. The state did, however, realize a $6.9 million profit in receipts from fees over program costs, up from a $6.3 million profit in 2012. New York Poll Has Strong Support for Medical Marijuana. A poll released Monday (see questions 36 and 37) showed strong support for medical marijuana in the Empire State. The Sienna Poll found majority support for the legislature taking action on the issue, while a smaller number of respondents favored Gov. Cuomo's limited pilot program. Only about one out of five respondents wanted medical marijuana to remain illegal and unavailable. Georgia Suspicionless Food Stamp Drug Testing Filed. A bill that would require all food stamp applicants to undergo mandatory, suspicionless drug testing was filed last Friday. House Bill 772 is the brainchild of Rep. Greg Morris (R-Vidalia). A similar bill passed the state legislature in 2012, but was put on hold after Florida's mandatory suspicionless drug testing was successfully challenged in the federal courts. Indiana Meth Crackdown Bill Gets Hearing Date. A bill that would make pseudoephedrine a Schedule III controlled substance requiring a prescription and would heighten penalties for some methamphetamine possession and trafficking offenses will have a January 27 hearing. The bill, House Bill 1248 (click on the link), is sponsored by Indianapolis Republican Rep. Ben Smaltz. Vietnam Sentences 30 Drug Traffickers to Death. A court in Quang Ninh province has sentenced 30 people to death in a massive heroin smuggling conspiracy case involving over two tons of the drugs. Dozens of others got prison sentences of from two years to life in the largest drug trafficking trial in Vietnamese history. Vietnam sentenced at least 86 people to death in 2012, but it's unclear how many were drug offenders. Australia's New South Wales Unions Welcome Drug Test Ban. Unions in New South Wales cheered after the state's Fair Work Commission last week upheld a 2012 decision to block a state-owned energy company from doing drug testing based on urine samples. Such testing, which measures off-duty drug use (as opposed to on-the-job impairment), is "unjust and unreasonable," the commission said, ordering the company to use mouth swab drug tests, which would detect only immediate recent use. "While oral testing accurately identifies recent drug use... urine tests unfairly monitor workers' private lives," Neville Betts, from the Electrical Tr ades Union's NSW branch, said in a statement. 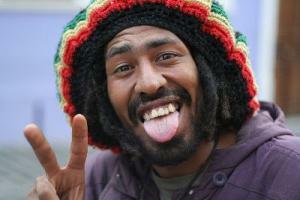 Jamaica Marijuana Reformers Want to Step Up Pressure on the Government to Act. The Jamaican Ganja Law Reform Coalition wants a more aggressive campaign to pressure parliament to act on legalizing marijuana. "We need a young MP to break the party ranks and put forward proposals for more meaningful legislation than the half steps that they are taking," coalition chairman Paul Chang told the opening session of the Cannabis Stakeholders Conference organized by the coalition. Parliament is currently dithering with bills that would decriminalize pot possession and expunge arrest record for marijuana offenses, but that's not enough, coalition members said. Yesterday I read where the cartels in Mexico were branching out into illegal mines etc using the money from the illegal drug trade. All the so called war on drugs has achieved is to make some incredibly nasty people incredibly rich with enough assets to bribe all and sundry. Time for a serious rethink.